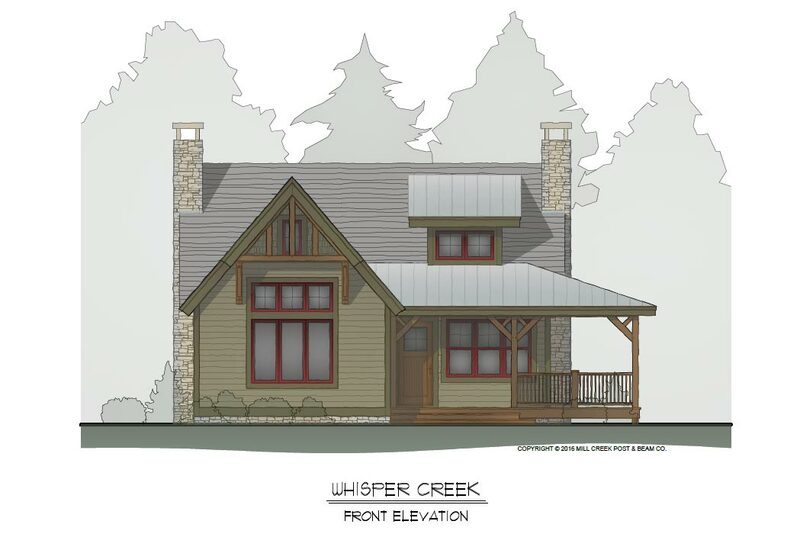 All of the same charm, as the mountain rustic retreat found in the Whisper Creek but expanded into a cottage perfect for a primary residence for two or a guest house /getaway. 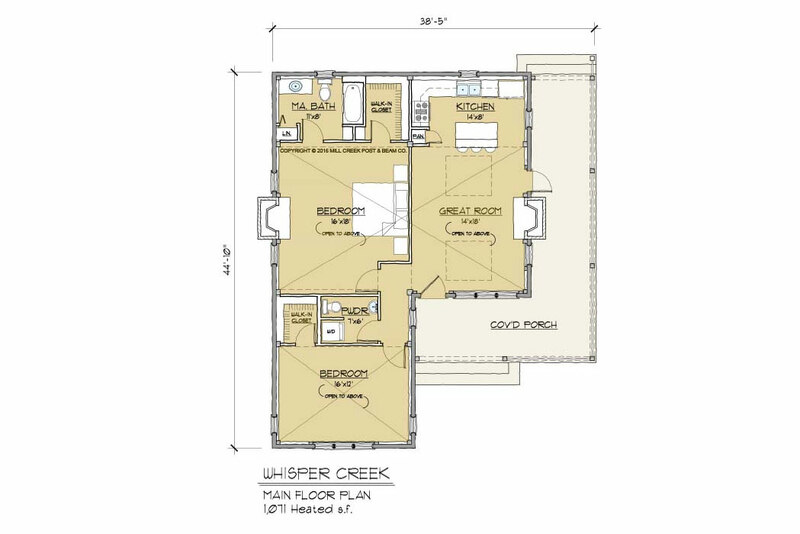 This efficient floor plan has 2 bedrooms perfect for guest room and or and office/study. 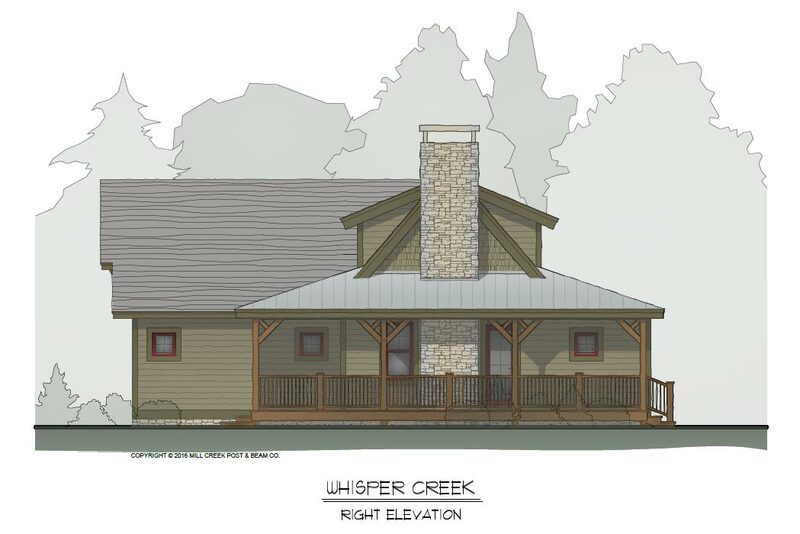 The large covered porch helps to expand living to the outdoors. Build on a full basement to add significant square footage.